Sitting there, I experienced an electric current of unbelievable love for humanity. I closed my eyes and felt great light emerging from within me and filling me with absolute, unconditional love for humanity. I understood then and there the glorious essence of Guru Nanak Dev ji. He is LOVE. I bowed, humbled by the experience and prayed, one by one, mentioning the names of those who are dear to me and asked Him to protect them. Though not a devotee, I sensed that Guru Nanak Dev knew me even before I knew or understood anything about him. There was, simply put, an instant electric communication between us. Following the Amritsar trip, I read all the serious literature around him and before I knew it, he made his way into my home and my heart. It's more like a silent, respectful sort of love. I feel his soothing presence and it brings a ray of light. And then finally after reading a lot about Guru Nanak Dev ji, I joined the dots and understood the connection. 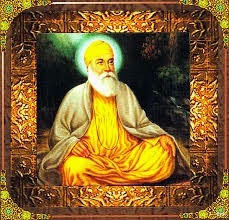 Guru Nanak Dev is one of the Masters of the Spirit World, besides Meher Baba. He protects spiritual seekers who are regularly communicating with the Spirit World. When Guru Nanak Dev enters their homes, He protects them in this uncharted territory with the purpose of serving humanity. Among my favorite teachings of Guru Nanak Dev, here is one: "Like the butter goes into the bread, love also gets into things. Love means to love others." I've so come to appreciate and honor the Sikh religion and have had similar experiences going to Sikh temples in the US, Swapna. There is so much devotion, love and spirit in the faith. I have always thought I wanted to visit Amritsar but after this review, I am definitely going to go there. I hope to find it as spiritually engaging and filled with love as you did. @Vishnu: Good to hear you had a positive, energizing experience in Sikh temples, Vishnu. Do visit the Golden Temple and share your thoughts on how it felt.